Renting in San Jose: What will $2,600 get you? We've rounded up the latest rental listings via rental site Zumper to get a sense of what to expect when it comes to scoring housing in San Jose with a budget of $2,600/month. 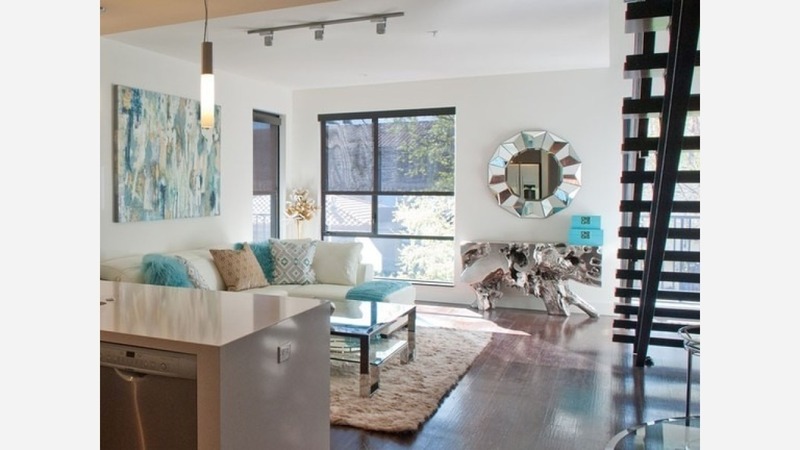 Listed at $2,586/month, this 635-square-foot one-bedroom, one-bathroom apartment is located at 355 Santana Row. The apartment features hardwood floors, a breakfast bar, a dishwasher, stainless steel appliances, wooden cabinetry and floor-to-ceiling windows. Pet lovers are in luck: cats and dogs are welcome. Per Walk Score ratings, the surrounding area is friendly for those on foot, is fairly bikeable and has some transit options. Here's a 1,632-square-foot studio apartment at 232 S. 10th St. that's going for $2,548/month. In the unit, you can anticipate hardwood floors, wooden cabinetry, stainless steel appliances, high ceilings, a ceiling fan and large windows. The building offers on-site laundry and garage parking. Neither cats nor dogs are allowed. Walk Score indicates that the area around this address is quite walkable, is a "biker's paradise" and boasts excellent transit options. Finally, check out this 1,021-square-foot one-bedroom, one-bathroom abode that's located at 1137 Foxchase Drive. It's listed for $2,500/month. The apartment features air conditioning, high ceilings, a mix of hardwood floors and carpeting, in-unit laundry, a fireplace, a balcony and a loft area. When it comes to building amenities, anticipate assigned parking, a swimming pool and storage space. Cats and dogs are not permitted. Per Walk Score ratings, the area around this address is moderately walkable, is very bikeable and has a few nearby public transportation options.